Fiat-Chrysler issued a recall of 1.8 million pickup trucks, including the popular 2017 Ram 1500 for a brake-transmission system failure. Fiat Chrysler Automobiles (FCA) is recalling about 1.8 million heavy-duty pickup trucks. FCA officials identified an electrical problem that causes these trucks to unexpectedly shift out of park, putting the vehicles at risk of rolling away. Thus far, there have been seven injuries and a small number of accidents that are potentially connected to this issue, according to FCA officials. This specific recall includes Ram trucks made between 2009 and 2017. In some cases, “high-temperature conditions” can cause the brake-transmission shift interlock device to fail. Often, this can result in a gear shift out of park without the break pedal being pressed, or without the key in the ignition. 2010-2017 Ram 2500 and 3500 pickups. 2011-2017 Ram 3500, 4500, and 5500 chassis cabs. The problem is most prominent in trucks with gear shifters mounted on their steering columns. 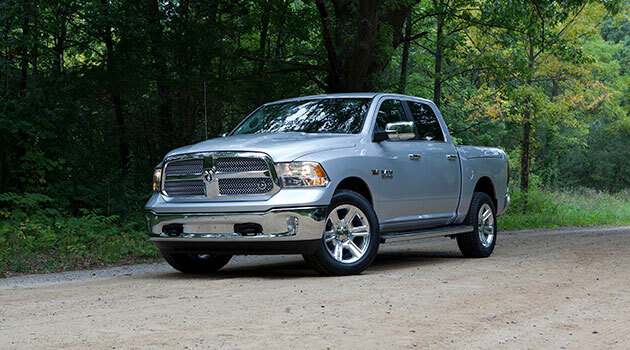 Concerned Ram truck owners can verify whether or not their vehicle is involved in this recall by entering the truck’s VIN number on the National Highway Traffic Safety Administration’s recall website. FCA customers can expect the carmaker to fix these trucks, and in the meantime, officials have advised Ram truck owners to keep their parking brakes engaged whenever the truck is parked.